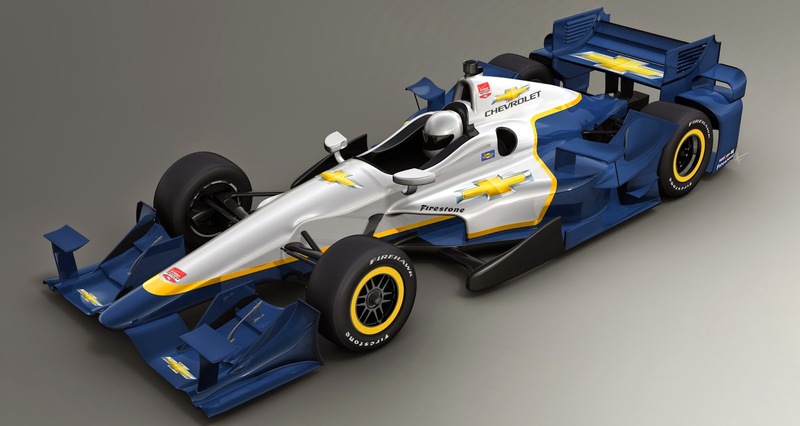 Chevrolet unveiled their long-awaited 2015 road and street course aero package at the Indianapolis Motor Speedway today during INDYCAR's Media Day. "It's a pleasure to be with you to highlight some of the key steps of where this aero kit is today. It's been a long journey. We're glad to be where we are. The first step that we took along the process was doing some baselining of today's car to fully understand what the DW12 does on road courses and short ovals to ensure our kit performed to a level that exceeded today's car. Once we understood where we were starting, we developed numerous design concepts. This is probably the biggest challenge, to balance the requirements for the kit. It's not all about downforce, it's not all about drag, it's not all about engine power. 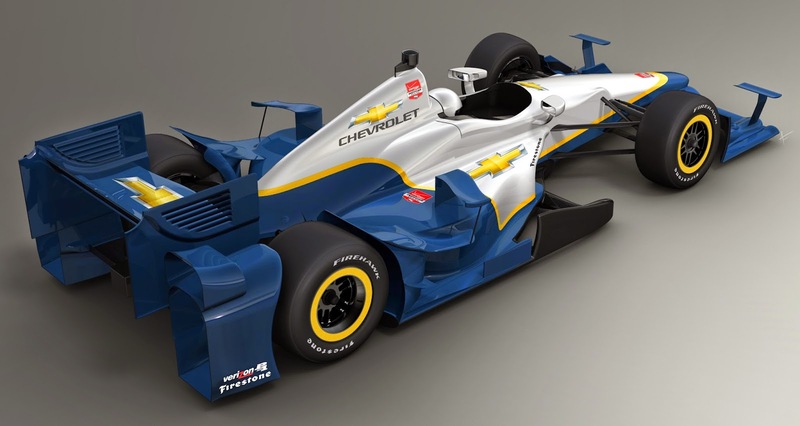 It's developing that optimal combination between those three to ensure at the end of the day we are providing our Chevrolet teams an aero kit and engine combination that can let them win week in and week out. Once we established these goals, we had some design concepts, some renderings that we had on what we thought the car could look like. 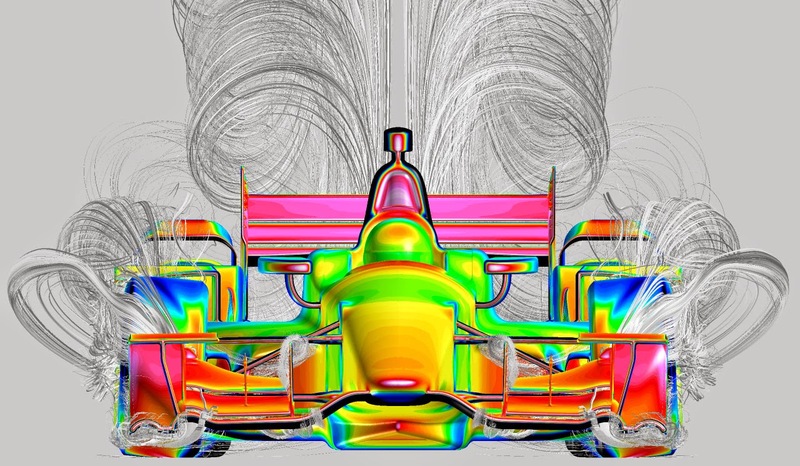 We had a very focused, dedicated team that worked on this aero kit program that then took these renderings and put them into the computer through computer-aided design, which we then took one step further and did structural analysis of the components. 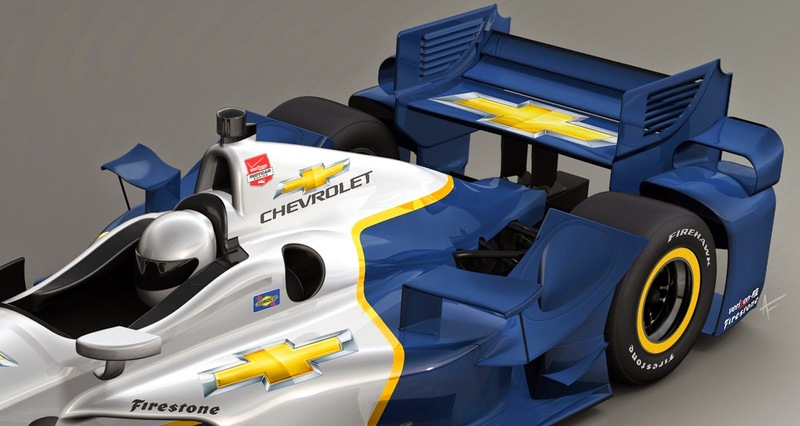 The new Chevrolet aero kit has more downforce capability. So in addition to ensuring that parts are light, we need to ensure they can withstand the higher loading. The FEA analysis with key that our parts would perform in that environment. We then took those parts to the next step, which was to use the computer to simulate the aerodynamic properties. A lot of our up front work was done on the computer. 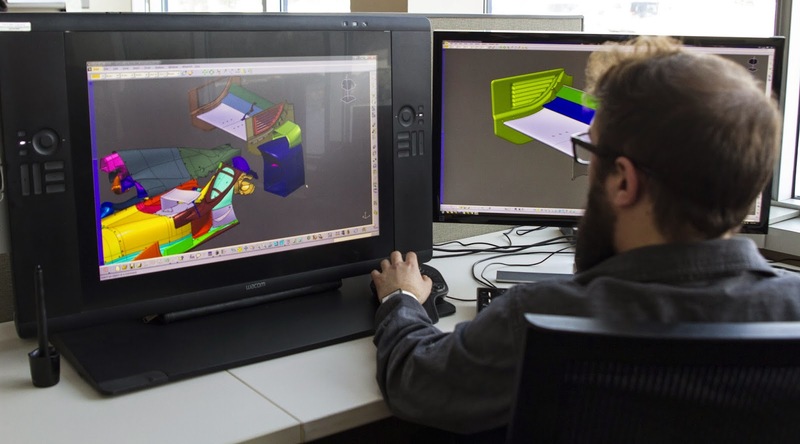 It's a very efficient and effective way in order to run through numerous designs before you even start to produce parts. So once we ran through this process, and I'm going through these in linear steps, but this is obviously a cycle. We go back a lot and start over based on learning along the way. Once we got to this point, the next step was then to create rapid prototype parts. Today's technology is amazing. You can take a 3-D printer and produce parts like this that is carbon-filled parts that are strong enough to actually go on a racecar and be tested on speedways and ovals and road courses. It's an amazing technology that allows us to rapidly learn what our parts do and rapidly allows us to go back and make enhancements as required. 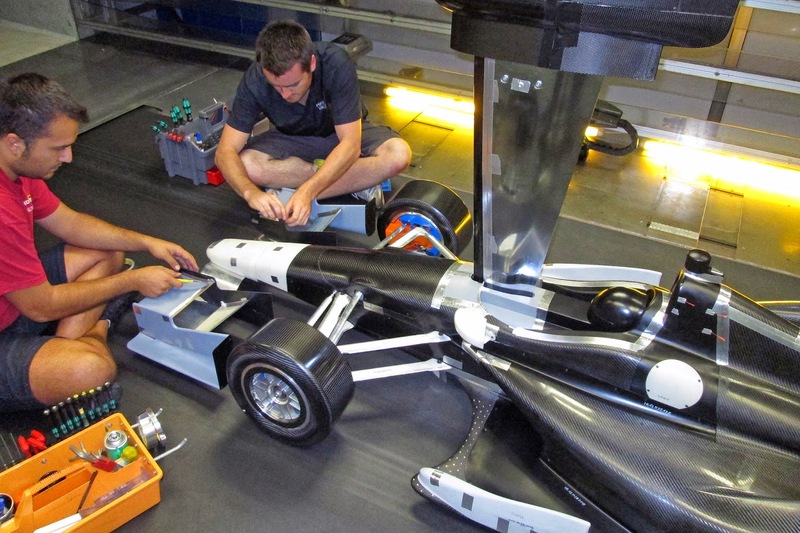 Once we had the parts, our next step was to go to a scale model wind tunnel, 50% scale model of the car. 50% testing offers us a great opportunity to learn quickly and more efficiently, producing parts that are half the size of the real parts represent a cost savings and allows us to test numerous iterations more rapidly. Once we were satisfied with those results, the next step was to go to a full scale wind tunnel test. We produced rapid prototype parts, took them to a full scale rolling wind tunnel, conducted numerous tests to confirm what we learned in the scale model tunnel and the computer. From that point we moved on to testing a prototype aero kit on various circuits. We tested the kit on various tracks. The validation phase of this whole thing was the track testing phase. Our goals there were really about making sure we had correlation all the way back to the CFD, the beginning of the process that Mark talked about. It's very iterative. We went through it here in a single pass. But this is a very iterative process. So once we got to the point where we produced full-sized prototype parts, we tested this road course and short oval components on real cars on Homestead, at CoTA and Phoenix for a short oval. We were glad to have Helio and Juan Pablo help us at Homestead. At COTA we had Will and Simon in the car. Then at Phoenix we had Scott and Tony running for us. Got a number of team Chevy drivers through this that helped us keep making progress in the validation phase, which is what the track testing is all about. Let me take you through some details of the kit. I'll give you some close-up shots and help you out with the terminology. We have a brand-new endplate, unique technology design there. 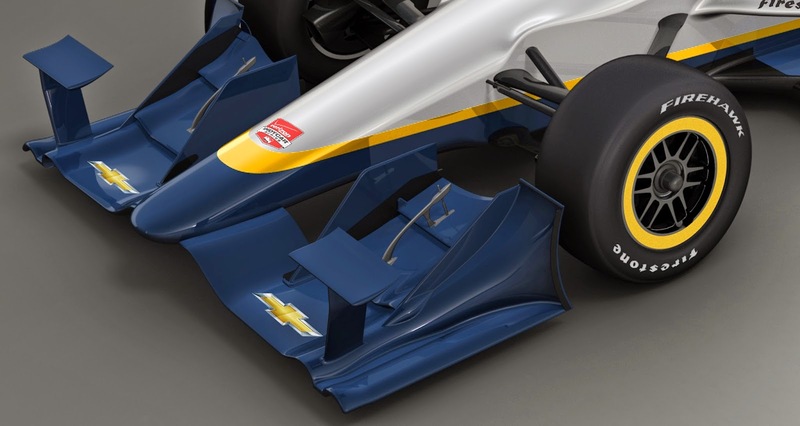 The front flap adjustor will be very visibly different than the DW12. 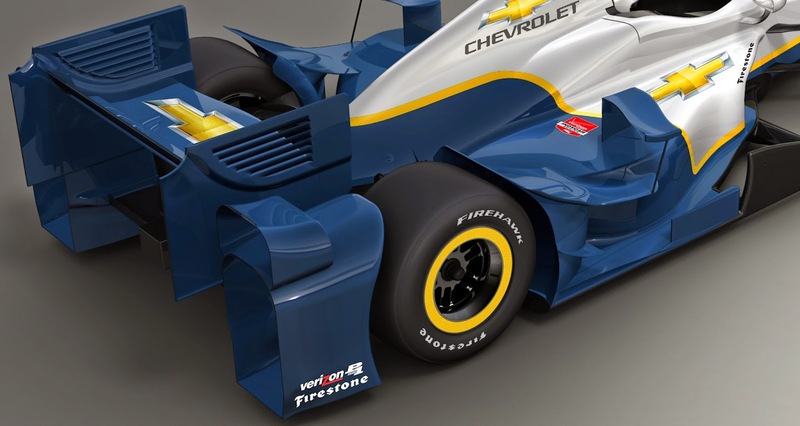 The front upper very prominent feature in the new front wing design. Inboard fence again, another new part, that ties it together. Seven parts in our new front wing assembly compared to four on the Dallara side. Moving on, we look at the center of the car, towards the rear we have a wheel wedge in front of the rear wheel, compared to the Dallara where the side pod carried all the way over to the front of the rear tire. We have a new side floor kick that you'll see behind the pod wing. A new part on the side pod that we call the upper flick. Our side pod and side pod inlet are also new. Moving over to the engine cover now, we did maintain the overhead intake as is in the DW12, but you'll see a much more shrink-wrapped tight engine cover without that vent in the back. It is quite a bit of a tighter package in there. To the back of the car, we have new bumper pods. We'll use this as all events. There's another part on top of it we call the top flick, which will not be there at all events. It will be an optional part. New end plates with louvered features in them. Our upper rear wing development is a dual flap design as opposed to the single flap that the DW12 has. 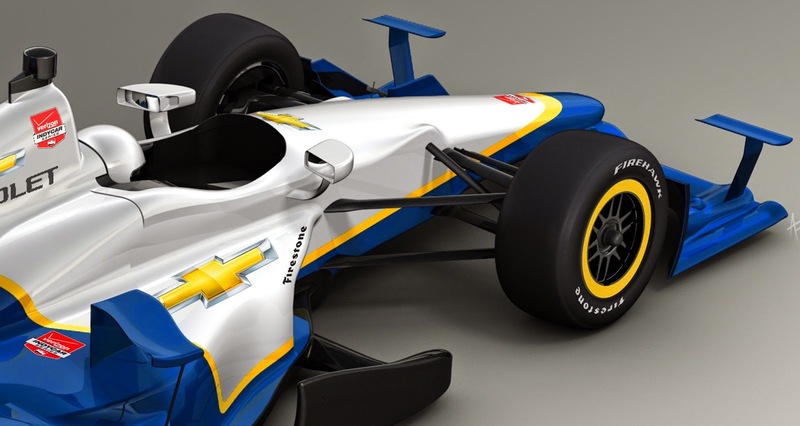 The Chevrolet oval package will be revealed on a later date. 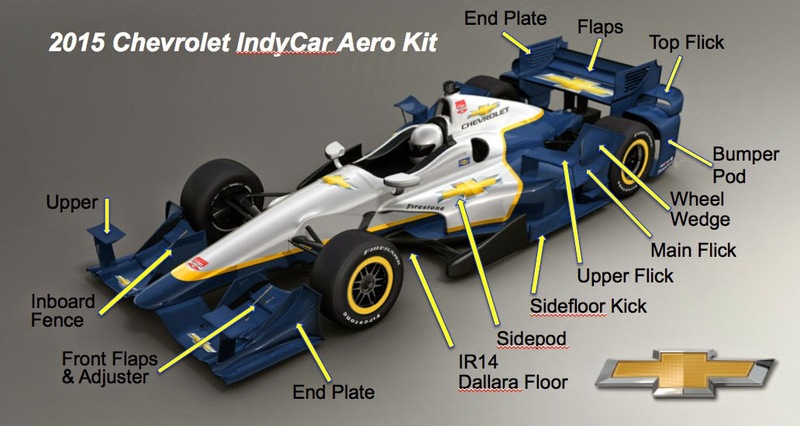 Honda has not released a timeline on the release of their aero kits. 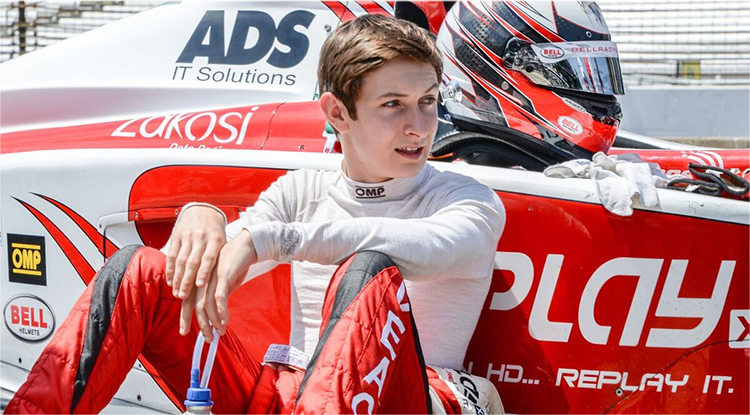 Brian Herta Autosport announced Tuesday the signing of 2014 Indy Lights Champion Gabby Chaves to a full-season Verizon IndyCar Series effort. Chaves will pilot the No. 98 BHA Honda vacated by Jack Hawksworth, who left for A.J. Foyt Racing, in the off season. 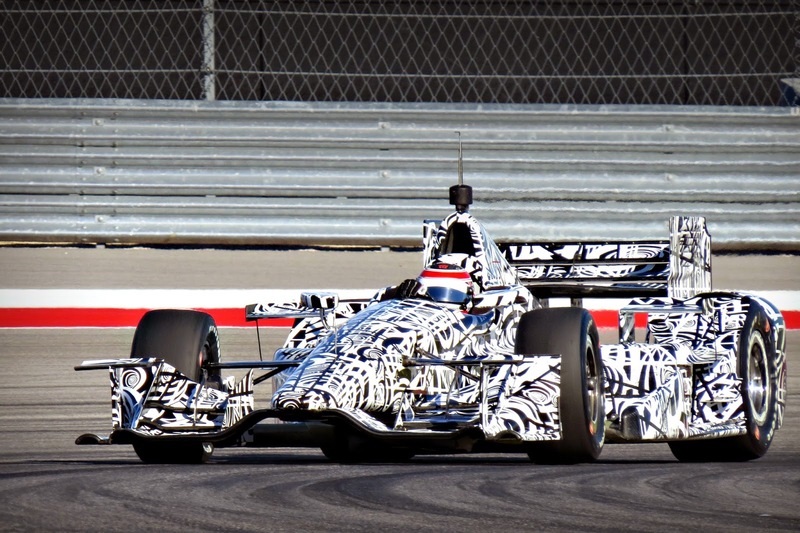 INDYCAR announced late Monday that they will not be replacing the cancelled season opener in Brazil with another race. They did, however, leave open the possibility of a non-race event on the March 8th date. 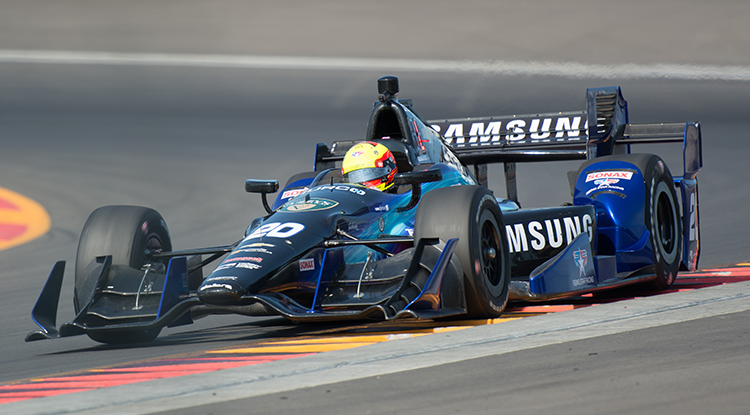 INDYCAR has explored several possibilities in an attempt to find a replacement event following the cancellation of the March 8 race in Brasília. 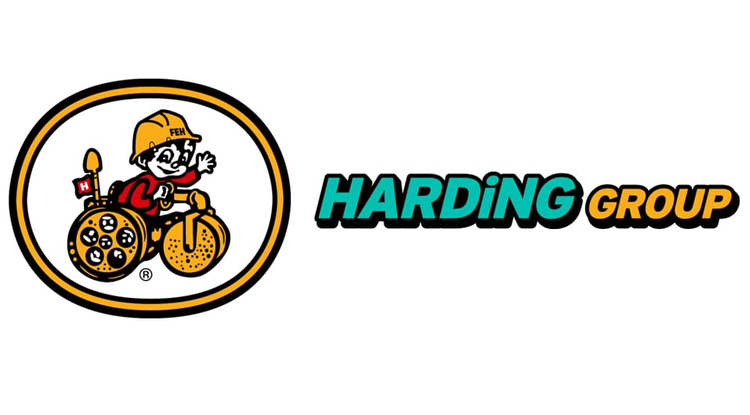 Due to the lack of time for suitable planning and the limited number of options, the series has concluded it is not feasible to organize a replacement race on that weekend. 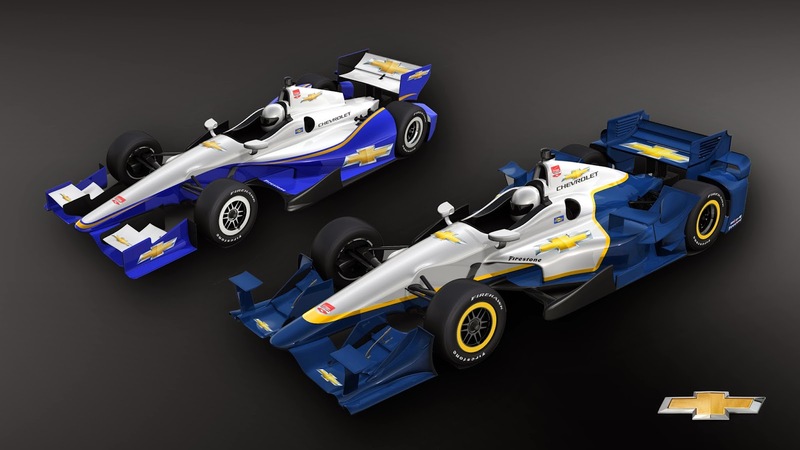 INDYCAR will determine other opportunities for its teams and drivers at that time following a review of the current testing schedule. The Indianapolis Motor Speedway announced 6-weeks ago that Straight No Chaser will be performing Back Home Again in Indiana. Just recently IMS made available for purchase the 2015 Bronze Badge (the best buy in sports, btw. You can order one HERE). And just last week it was revealed that the great Al Unser Sr. will be honored on Legends Day. Team press releases and announcements will soon begin streaming in, revealing the 33-car Indianapolis 500 field. Performers, events and other ancillary tidbits will start trickling in, slowly piecing together the 99th running of the greatest race in the world. Preparations at 16thAndGeorgetown.com are no different. Former editor of MoreFrontWing.com and my good friend, Paul Dalbey, has come on board this May to share photos, stories, news and other morsels as only he can. Paul's knowledge and love for the history of the sport and race are matched by few, and it shows. Entering our 7th Month of May, we look forward to providing our best coverage yet. ...Is it May yet?